My name is Ed Terefencko & I am a small time custom callmaker from Pennsylvania. 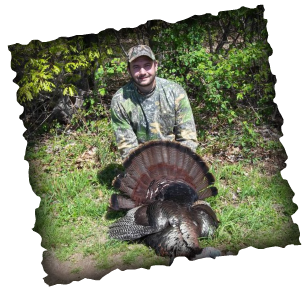 I have been turkey hunting now for about 20 years and it has for me, like many other turkey hunters, turned into a passion. My callmaking began about 16 years ago, while hunting in the fall season with my dad, I was running his old Lynch World Champion box call that he bought back in 1968 and I thought to myself, I can make one of these, how hard can it be. Little did I know. From then on, I have been working to create calls that reproduce the sounds of a hen turkey to smallest detail. I started making sawn & glued box calls back around 2000 and evolved to hewn Cost Style short boxes around 2003-2004. 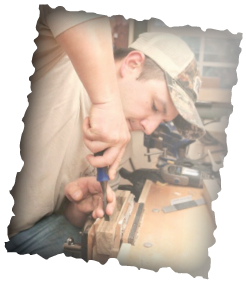 I began making paddle calls in 2006 and to this day, I am continually looking for anything to help improve my design & sound. My goal in creating box calls is to consistently produce calls that can replicate the vocabulary of the hen turkey and are accurate in tone, pitch and realism as well as easy to run. I pay close attention to every step of the process from wood selection to checkering and inlaying the call to applying the finish. Each one of these steps has a specific purpose and each one affects the sound of the call in one way or another. All of my calls are handmade one at a time, paired with a wood to produce optimal tone and pitch and meticulously hand tuned, individually paying attention to the smallest detail throughout the process. I personally select each piece of wood based on characteristics I’ve found work well to produce quality tone and pitch. When possible, I prefer to buy freshly cut lumber and let it air dry in my shop until the moisture content reaches about 6% which may take over 2 years. I’ve found that air-drying and ageing the wood helps produce a much more authentic sounding call. I’ve found that in order to build a quality product, you must use quality materials and over the past 15 years, I’ve learned through trial and error what works best for me, and what doesn’t. When a call is tuned and ready to go, on the bottom of the call I will document the origin of the woods used, who the call was made for and I will sign and date the call. Be assured that if for any reason I am not 100% satisfied with the sound of a call, it will NEVER leave my shop. That is the pride that I take in my turkey calls. 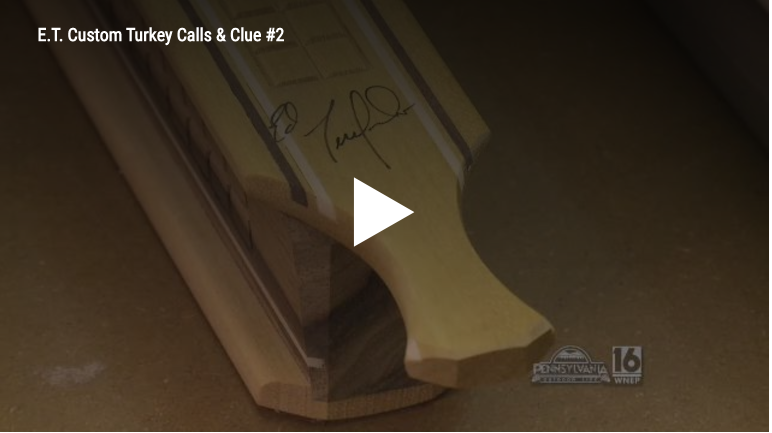 My signature on the bottom of each call is my promise that the call is as accurate in tone and pitch as I can build it and you can be assured that each call reflects nothing less than my best.